We sell several different models of bumper plates, but if you spend a couple minutes you’ll quickly be able to weed through them and pick out the bumper plate best for your home gym, box, or other environment. All of our bumpers have steel hubs or collars. We don’t sell any with the brass collars that some manufacturers tried and proved to be too weak. 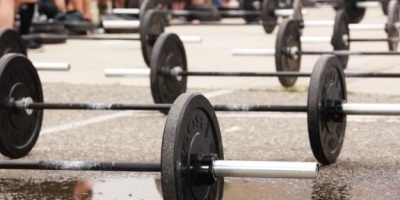 Most people will do well with training bumpers (also called economy bumpers or econ bumpers). These work well for garage gyms and multi-user gyms. They aren’t only for people on a budget. Because they’re thicker than competition bumpers they absorb the impact better and will last longer. If you’re lifting over 400 lbs or think you might, you can load a little more with the Alpha bumpers, which are training bumpers but are made with a rubber composition that takes up less volume. Hi Temp bumpers are significantly thicker than others because they’re made from recycled rubber, which is less dense. This means they have a higher bounce, are more durable, and have a rough texture. Competition bumpers you can easily recognize by their large steel hub. 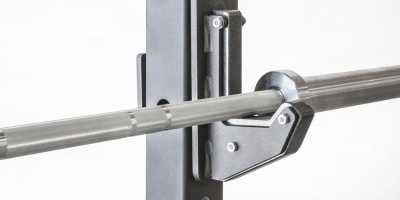 The main advantage of competition bumpers is the greater steel makeup in competition bumpers means they are a thinner and you can fit more on the bar, which may be an issue if you’re lifting big numbers. Competition bumpers have a lower bounce than others because of the larger steel makeup, making them a little harder on your floor. Regardless of which kind you use, you still do need to use rubber mats or a lifting platform to protect your floor. The exception is Hi-Temps, which are so soft that they should not damage concrete. Black costs less to make. Higher priced bumpers use standard color coding (red 25kg, blue 20kg, etc.) to help you easily identify them at a glance and make your life easier. Thankfully, nobody makes non-standard colors. 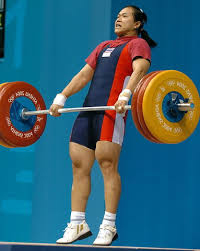 However, the colors for competitions are only defined by the IWF only for 25kg to 10kg, and iron plates are added on for any smaller weights. There are no IWF standard colors for LB sizes, so manufacturers approximate the sizes and colors. For example, some make the 45lb blue, while others make it red. 450mm (17.72″) is IWF regulation size. All competition bumpers are this size, and a lot of common bumpers are as well. If you don’t compete, using a standard size doesn’t matter much, but it does matter if you ever have to mix them with another brand of bumpers, in which case they do need to be the same size to ensure the load is shared evenly during drops. The thickness of the plates determines how much you can fit on a bar. It’s a problem most people don’t have. Most bumpers have a low, predictable bounce, just enough to soften the blow when dropped, otherwise known as a “dead blow” bounce. Hi-Temps are unique with their high bounce, and the relatively soft impact means they are fantastic for saving your concrete floor from getting pulverized. The new Alpha bumpers also are fine to use on bare concrete. IWF specifies KG sizes only. KG is an international unit of measure, and it is used in competitions. As Americans, of course, we are more familiar with pounds (LBS), so they tend to be popular. Some people find it easier to do math with the more round numbers of KG. But if you don’t plan on competing, we recommend you just go with LBS so your world doesn’t get turned upside down every time you use iron plates marked in LBS. We didn’t list the exact price per pound because bumpers aren’t always priced the same per pound on all sizes. The 45lb often is less per pound than the 10lb. But our “$$$” notation gives you a pretty good idea of the relative prices. Competition bumpers cost more, as do colored ones. The new Alpha bumpers are unique in several ways, combining features that until now people thought impossible. They are recycled and yet have low odor. They have low bounce and yet are quiet. Their profile is thinn but they are very durable. And they have color flecks for a lower price than other colored plates. Troy VTX black bumpers are also a great choice. The 10lb Troy VTX bumpers have been proven so far to stand up to many serious drops when used by themselves, which is unusual (usually the thin 10lb bumpers should only be used alongside 25lb and larger bumpers). I have the 230 lb black Vulcan bumper and they perform great dropping on stall mats on my concrete basement floor. I would definitely purchase again. Great article. I hear great things about the Vulcan alpha plates. As a garage gym owner, sound is a concern and I am wondering which plate is the quietest when being dropped ? Is it the hi-temp, or the vulcan alpha, or some other one ? Cheers! It would definitely be between the Alpha and Hi Temps. I’m nots ure which. The problem is right now the Alphas have been out of stock for months unless you pre-order. Each batch is already sold out when it arrives.